"Hits, Runs and Errors! 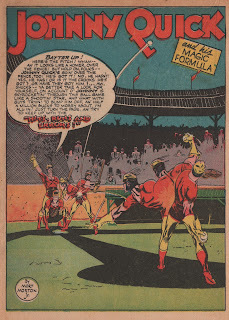 ", starring Johnny Quick as an ENTIRE BASEBALL TEAM. Don't try this at home, kids. At least not without a magic formula. Go science! Go Johnny! Go Mort!